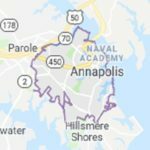 Green Apple Cleaning professionally cleans office buildings, small business, retail locations and homes in Annapolis, Maryland. Let us do the work, so you don’t have to! Our goal is to clean your home or office the way you want us to. 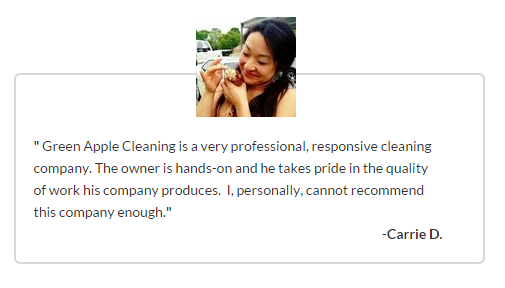 Great service begins with great people and we hire only the best, most qualified professional cleaners in the business. With each new client we consistently deliver dependable, high quality cleaning services. Join thousands of satisfied clients. 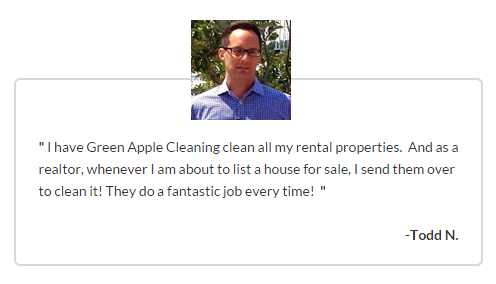 Choose Green Apple Cleaning for your residential and commercial cleaning needs. Contact Green Apple for commercial or residential cleaning, janitorial and maid services in Baltimore, Annapolis, Columbia and surrounding areas in Maryland and Washington, DC.